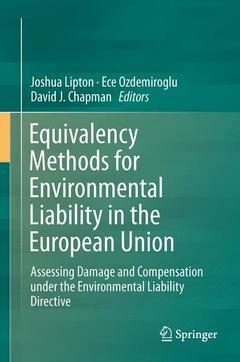 The book is the only technical volume that explains how equivalency analysis methods mentioned in Annex II of the European Environmental Liability Directive should be implemented. It uses case studies to illustrate real-world application of the methods, which are based on the experience in the USA and in the European Union and have been tested in three years of training programs funded by the European Commission. Academically rigorous and technically comprehensive, the book is intended for technical experts wanting to assess damage and remediation options as well as for decision-makers wishing to commission such assessments and judge their quality. These include competent authorities, operators, financial security providers, academics, consultants and NGOs.